The late Steve Jobs called 2011 "the year of the iPad 2" and almost a year after it was introduced, almost 2 years after the original iPad was introduced, it remains a product selling in the tens of millions with absolutely no competition in sight. And that's a shame because, as a consumer, the one thing I want most is strong, meaningful competition for the iPad. It's become a cliche to say "there's no tablet market, there's only an iPad market", but like most cliches there's more than a little truth to it. Very few people want a tablet. Not in the 10 years prior to the iPad when Microsoft sold Tablet PC to almost no one, and not in the almost two years since when Apple's competition has tried to differentiate themselves by being more like PCs. The simple truth is, the iPad was never designed to be a tablet. It was never designed to be a PC crammed into a slate form factor. Like they did with command line on the Apple II, and graphical interfaces on the Mac, and multitouch on the iPhone, Apple strove to make something that was more mainstream, more accessible than what had come before. It just turned out to look like a tablet. For many people, PCs -- personal computers -- are anything but. They're complicated, impenetrable stacks of boxes and webs of cables, with mice that never move right, buttons that never click right, windows that hide other windows, programs that make little sense, and files and folders that are as frustrating to find as they are to figure out how to use. They're like cars back in the days when you had to be a mechanic to own and operate one, and very few people did. The iPad is the opposite of that. You turn it on. You click home. You tap an app. You click home. You tap another app. You know where you are and if you get lost you're always only a click away from getting back to some place familiar. It's more approachable. It's more understandable. It does 80% of the things 80% of the people need 80% of the time and that, it turns out, is a huge swathe more than most PCs could ever do for most people. That's why Apple is selling a so many of them, and why their competitors aren't. To compete with Apple, everything from RIM's PlayBook to Google's Android Honeycomb tablets offered more specs and more desktop-class power. To the exact people who wanted anything but. Powerful multitasking metaphors don't help people who think their internet is gone because their browser is lost behind their word processor. Flash doesn't help mainstream consumers who have no idea what it is, even if their more obscure web video sites don't play without it. Tegra II processors don't help wives who just want to know why their messages won't scroll without sticking and stammering. Bezel gestures and on-screen widgets don't help people who just, for once in their technology plagued lives, want simple controls, for a simple screen, that does one app at a time and does it very, very well. Copying the iPad's look won't help when the software running it doesn't work with anything approaching the same simplicity or feel. Apple understood this back in 2005 when they started work on the Safari Pad concept, and while even they didn't full get it when they made it manifest in 2010, they got it enough to release the iPad, and they got it even more in 2011 with the iPad 2, iOS 5, and iCloud. It's not about being thinner, or lighter, or faster. It's not about specs or about content. It's about experience. 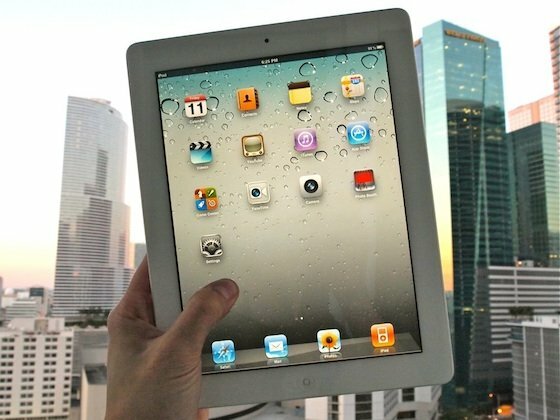 And now, as we enter 2012, as Apple is poised to release an iPad 3 with a Retina display that runs mobile software even better than GarageBand and iMovie, not a single one of their competitors have gotten that yet. Until they do, until Amazon or Google or someone else puts the mainstream customer first, every year for the foreseeable future will be the year of the iPad.